MOH EXAM News - Ministry Medical Licenses: How to Convert or Transfer DHA License to HAAD? We all know about the unification of Medical licenses in UAE was finalized and started this year. It is a good news for medical professionals about the Memorandum of Understanding between Dubai Health Authority (DHA) and Health Authority of Abu Dhabi (HAAD). It is an agreement signed where a medical professional will be able to convert or transfer medical license from one issuing authority to another. i.e. 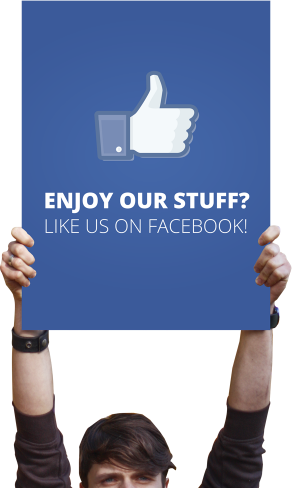 like from DHA to HAAD etc. In a nutshell this change is to revive the recognition of medical licenses of health care professionals across the region. Things are getting simpler but still some questions are asked on how to convert DHA license to HAAD, where to start the conversion process? what are the requirements for transfer of license, what is the fees, how many days are needed to complete this whole process of transfer?. You will find the answers of these questions as we are providing this information to those who can get benefit from this memorandum. This step is quite important before you start the procedure to convert DHA License to HAAD. As you can't start your procedure just after passing your DHA Exam. First you have to be on a job with DHA License. Secondly, you should spend at least 6 months on the job. And fulfill the requirements needed for the transfer. First your would need a Good Standing certificate. It will cost 510 aed for normal process and it is available from your DHA account. If you need it urgent fees will be 1010 aed ( 2 -3 working days). Payment is done online and using a credit card. Create account on Data Flow HAAD section (http://www.dataflowgroup.com/haad/login.aspx). Fill up the profile and upload all necessary documents required. You should have your data flow report from DHA which is available in DHA account under the section of PSV. If you don't have this report you can always request it by sending an email to dha@dataflowgroup.com. If you don't have any sponsor upto now you can simply put in self-applicant. Process will be quite simple if you have you have a sponsor at this stage. 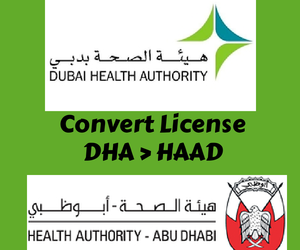 We have tried our best to get you through the process to convert DHA License to HAAD license easily. Even if you need our assitance and any help at any stage you can always contact us for helping you our to transfer your DHA license to HAAD license easily. This process to convert DHA license to HAAD is more or less similar for most of the medical fields including Pharmacists, Assistant Pharmacists, Nursing, Radiologists, Dentists etc. Since this DHA and HAAD agreement things are getting simpler. It will open doors for more jobs in recent future. Many candidates and health professionals also wish to unify the examination process of DHA, HAAD and MOH Uae.